In The Happening, residents of the Northeast helplessly begin to kill themselves for reasons unknown; by this point in M. Night Shyamalan’s career, the movie’s chief accomplishment may be not inspiring a similar desire in viewers. 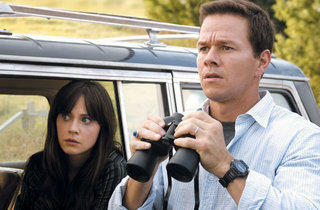 After Lady in the Water, the Sixth Sense wunderkind has gone tail between legs and made a bare-bones epidemic movie. Unfortunately, however confident with his shock cuts, he’s still phenomenally insecure as a writer, and apparently felt no one would understand his theme unless Mark Wahlberg lectured the audience on the limits of scientific knowledge. The movie opens at 8:33am on a Tuesday in Central Park, where a mass suicide segues to construction workers jumping off roofs; clearly, Shyamalan has no compunctions about exploiting September 11 imagery. Cut to “Philadelphia High School,” the evacuation of which pushes the protagonists to head westward. In Shyamalan’s hermetic universes, answers always come easy: Notice how that greenhouse is dwarfed by really big nuclear smokestacks. 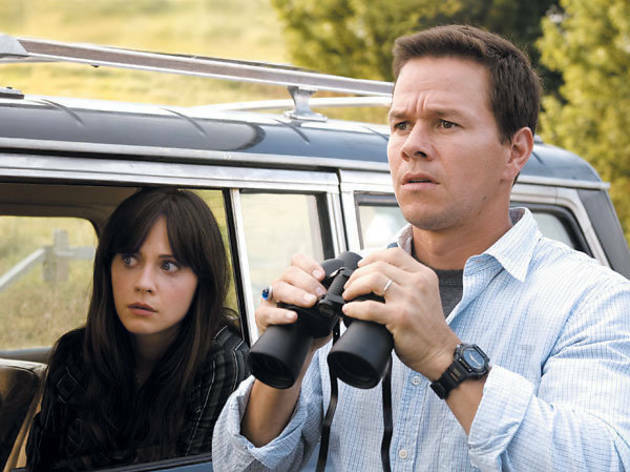 Every character trait is put to use; schoolteacher Wahlberg, in a troubled marriage to Zooey Deschanel, actually recites the scientific method aloud before problem solving. If God made the aliens go away in Signs, can true love hold back the toxic winds? More to the point, can anyone find out without laughing?